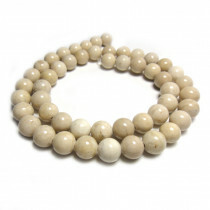 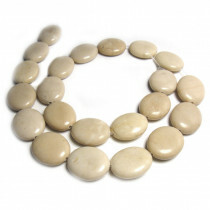 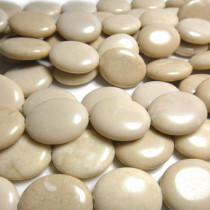 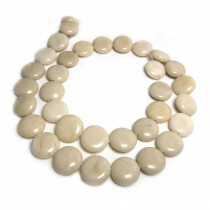 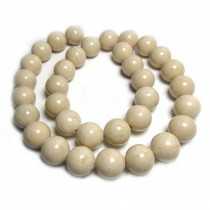 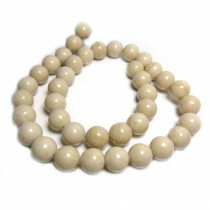 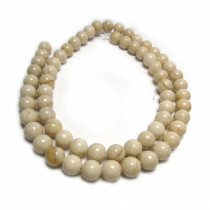 Fossil Stone beads are an ivory cream colour with some subtle natural variations of a marbled effect. 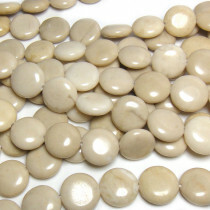 These Fossil Stone beads are surmised to be formed from sea fossils or shale. 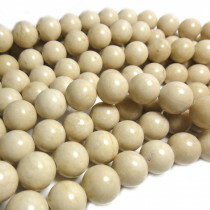 Also known as Riverstone beads. 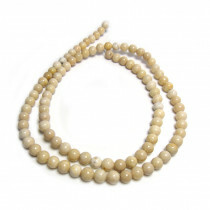 This gemstone is believed to energise and accelerate positive change. 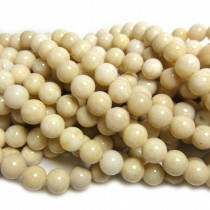 Fossil Stone Gemstone 4mm Round Beads (~95 pce Strand) - 40cm /16'" Strand. 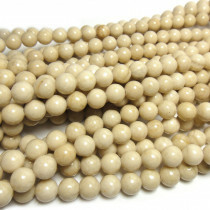 Fossil Stone Gemstone 10mm Round Beads (~39 pce Strand) - 40cm /16'" Strand. 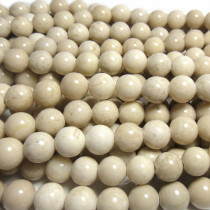 Fossil Stone Gemstone 12mm Coin Beads (~34 pce Strand) - 40cm /16'" Strand. 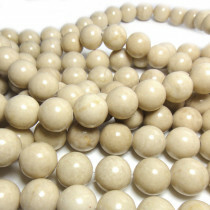 Fossil Stone Gemstone 15x18mm Oval Beads (~22 pce Strand) - 40cm /16'" Strand.